The trees were located around a nature reserve and lakes, also some of the trees which needed work were over a busy highway so traffic management was needed to carry this out. 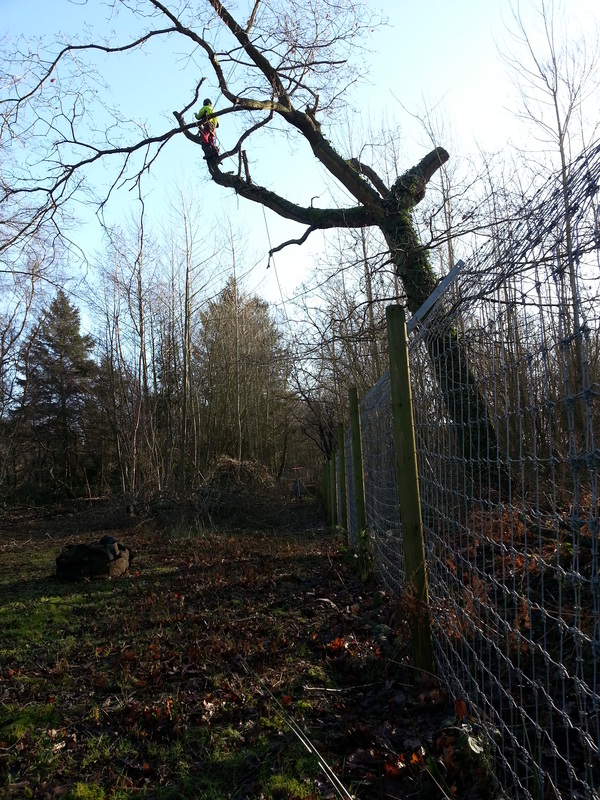 There was approximately two weeks work for a three man team, the work consisted of sectional felling, reductions and some deadwood removal, all the branches and wood were stacked on site into habitat piles creating habitat for reptiles, amphibians and invertebrates. As this was a high profile site a method statement was produced, this coincided with a daily risk assessment and a wildlife survey before and during work.